Former U.S. President Barack Obama and His Holiness the Dalai Lama discussed compassion and altruism in a meeting on Friday. His Holiness the Dalai Lama meeting with former U.S. President Barack Obama in New Delhi, India on December 1, 2017. Photo by Tenzin Taklha via Twitter. 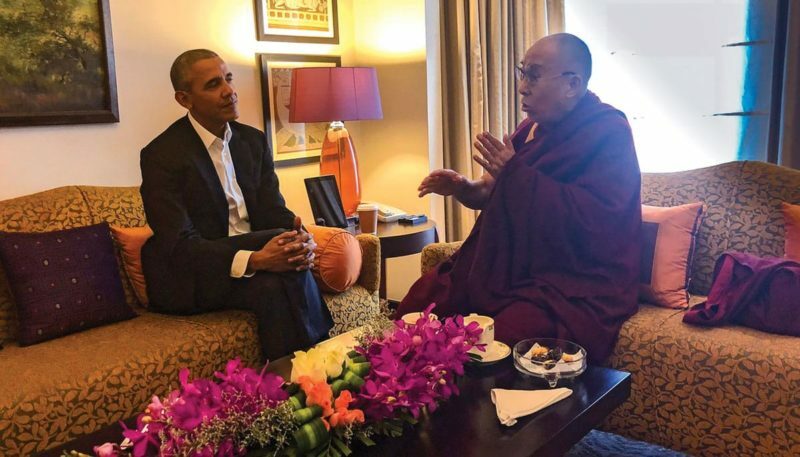 His Holiness the Dalai Lama met with former U.S. President Barack Obama Friday in New Delhi, India. Friday’s meeting marks the sixth time His Holiness and Obama have met, though its the first since Obama left office in January. The two reportedly discussed “compassion and altruism,” Obama was visiting New Delhi amidst a five-day world tour that took him to India, China, and France. 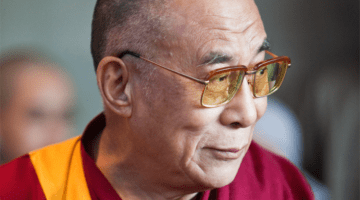 His Holiness has yet to meet with current U.S. President Donald Trump, and though he has voiced concerns about America under President Trump, he says he remains open to a meeting.